The 1,176-page “Department of Defense Law of War Manual” explains that shooting, exploding, bombing, stabbing, or cutting the enemy are acceptable ways of getting the job done, but the use of poison or asphyxiating gases is not allowed. Surprise attacks and killing retreating troops have also been given the green light. But the lengthy manual doesn’t only talk about protocol for those on the frontline. It also has an extensive section on journalists – including the fact that they can be labeled terrorists. “In general, journalists are civilians. However, journalists may be members of the armed forces, persons authorized to accompany the armed forces, or unprivileged belligerents,” the manual states. This means that embedded journalists, who are officially sanctioned by the military and attached to a unit, will be favored by an even greater degree than before. “It gives them license to attack or even murder journalists that they don’t particularly like but aren’t on the other side,” Chambers said. Even the Obama Administration’s definition of “enemy combatant” was vague enough, basically meaning any male of a military age who “happens to be there,” Chambers added. The manual also deals with drones, stating that there is “no prohibition in the law of war on the use of remotely piloted aircraft (also called “unmanned aerial vehicles”)." Such weapons may offer certain advantages over the weapons systems. It states that drones can be designated as military aircraft if used by a country's military. 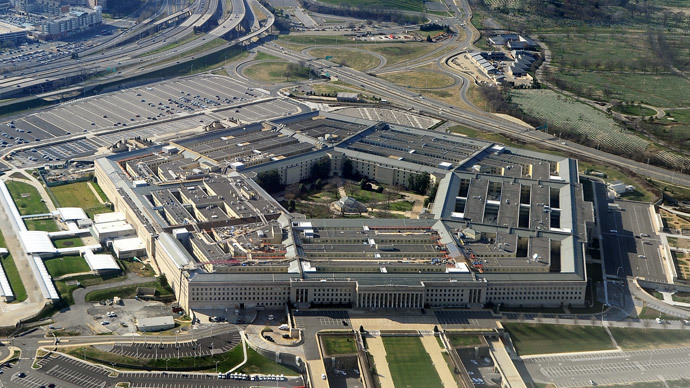 The manual is the Pentagon's first all-in-one legal guide for the four military branches. Previously, each sector was tasked with writing their own guidelines for engagement, which presumably did not list journalists as potential traitors.